The Return of the Library Dragon Blog Tour! 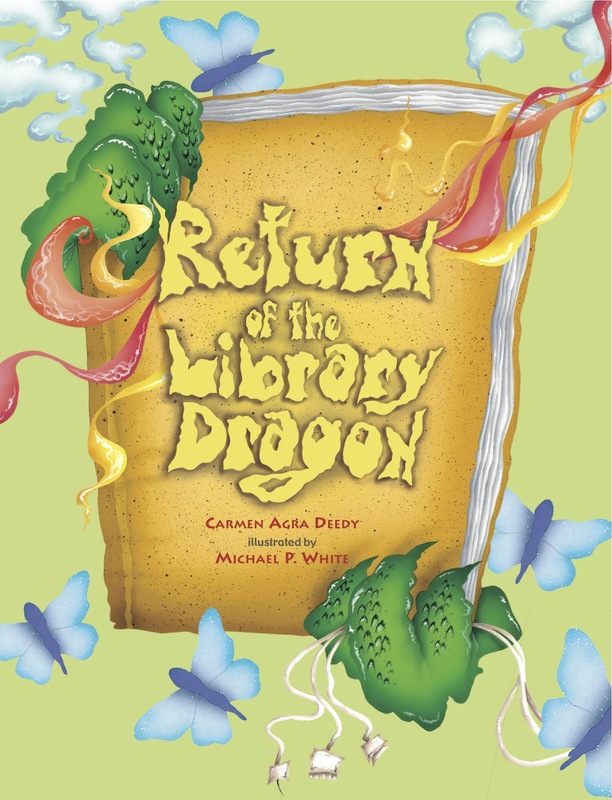 Peachtree Publishers has set up a wonderful blog tour, with some of my favorite blogs, to celebrate Carmen’s newest book, The Return of the Library Dragon. Don’t miss your chance to hear from the illustrator, Michael White, as well as the books editor! There are even a few chances to win a copy of the book. The blog tour schedule is listed below. There’s a Book is featuring the first review of the tour! Maestra Amanda has a review for you and word from illustrator Michael White! Hear from the editor of Return of the Library Dragon about what it was like to create this book over at Booktalking! A Word’s Worth has an excerpt from the book and a giveaway starting today! Satisfaction for Insatiable Readers has a review and giveaway starting today too! Don’t forget to enter the costume contest by 10/31! Details here!